Your tub and shower are the focal points of your bathroom. Unfortunately, many homeowners don’t love the places where they get clean every day. Whether you have an old, outdated tub or shower that doesn’t match your current style, doesn’t provide the functionality you need or needs to be made more accessible, Rosenthal Plumbing can help. We carry a full line of showers and tubs in San Jose, and we will help you create the bathroom you’ve always wanted! Your shower or bathtub is more than just a place to get clean at the end of a long day. It’s also a big part of your bathroom and has a huge impact on the overall look and feel of the space. In time, style preferences change, and many homes now have outdated tubs and showers that serve their purpose but don’t add to the aesthetics of the space. Time also takes a toll on these frequently used bathroom fixtures, often resulting in cracks, damaged grout, etc. Plumbing problems and poor installation could also lead to water damage and the growth of mold and mildew. At Rosenthal Plumbing, we carry a complete range of shower and bathtub solutions. Our selection sets us apart from the competition, and we are passionate about helping out customers find exactly what they are looking for. Whether you’re in the market for a large tub to relax in, you’re considering a tub-to-shower conversion, we’ve got you covered! No matter what your budget is and what you are looking for, we can help! 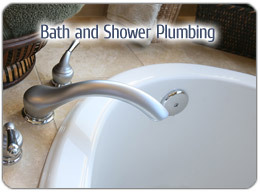 If you are in the market and tub installation and replacement in the San Jose area, depend on the expert plumbers right here at Rosenthal Plumbing. For showers and tubs in San Jose and the surrounding areas, contact us today.